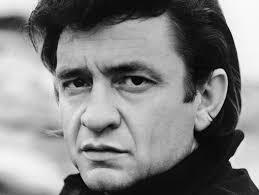 Cash achieved early fame as a Country and Western singer-songwriter beginning in the mid 1950s and overcame drug addiction to bring this genre to a new height with his “Man in Black” persona, which celebrated sincerity and the rebellious spirit. He and his music identified with society’s outcasts, and he loved especially to perform for prison inmates. Beginning in 1961, he often appeared in performance with his wife, the Country and Western great June Carter Cash (1929–2003), who died shortly before him.